Selenium is an important cofactor in the production of antioxidant enzymes that may influence cancer progression. Selenium intake and cancer survival has not been extensively studied; however, selenium supplementation has been demonstrated to reduce cancer mortality in nutritional intervention trials. We investigated whether dietary selenium intake was associated with survival among 3,146 women diagnosed with invasive breast cancer in the population-based Swedish Mammography Cohort. 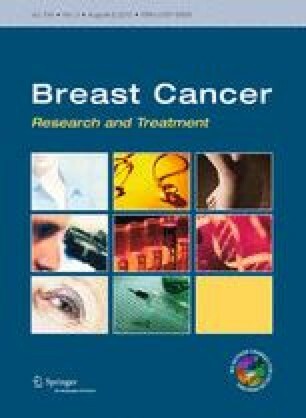 Selenium intake before breast cancer diagnosis was estimated using a food frequency questionnaire completed in 1987. Cox proportional hazard models were used to calculate hazard ratios (HRs) and 95 % confidence intervals (95 % CIs) for death from breast cancer, non-breast cancer death, and death from any cause. During 28,172 person-years of follow-up from 1987 to 2009, there were 416 breast cancer–specific deaths and 964 total deaths. Dietary selenium intake was inversely associated with breast cancer–specific mortality and overall mortality. Women in the highest quartile of selenium intake had a multivariable HR (95 % CI) of death from breast cancer of 0.69 (0.52–0.92) compared with those in the lowest quartile (P trend = 0.009). The inverse association between dietary selenium intake and breast cancer death appeared strongest among women who had ever smoked (HR = 0.34; 95 % CI 0.14–0.83; P trend = 0.01) comparing the highest to lowest quartile. Our findings suggest that selenium intake before breast cancer diagnosis may improve breast cancer–specific survival and overall survival. However, these results may be limited to populations with low intakes of selenium. This work was supported by the Swedish Cancer Foundation, the Swedish Research Council/Committee for Infrastructure, the Swedish Foundation for International Cooperation in Research and Higher Education, and the Regional Research Fund Uppsala-Örebro Region.